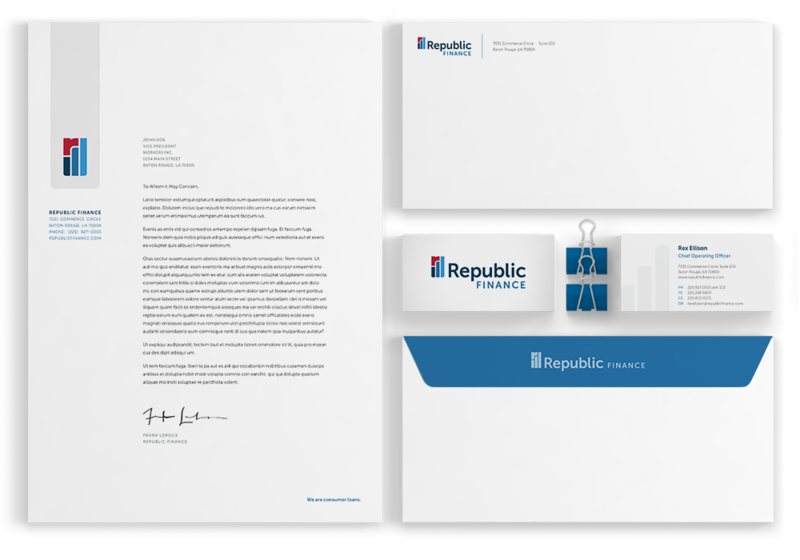 Republic Finance, an established consumer loan company with offices in Memphis, TN, and Columbia, SC, was stuck in a branding rut—their original brand was limiting them in several ways and they were in need of a fresh, new visual identity. 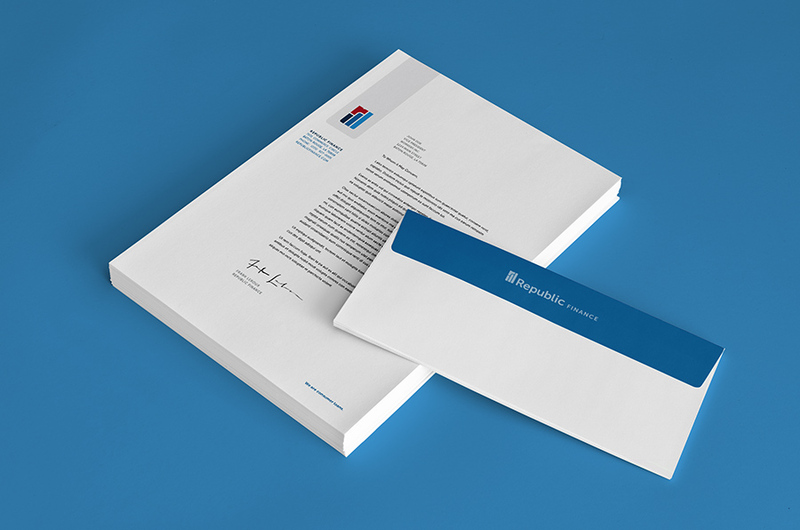 With a collaborative process, Envoc was able to work with Republic Finance as a team to create a brand that represents who they are and where they want to be. 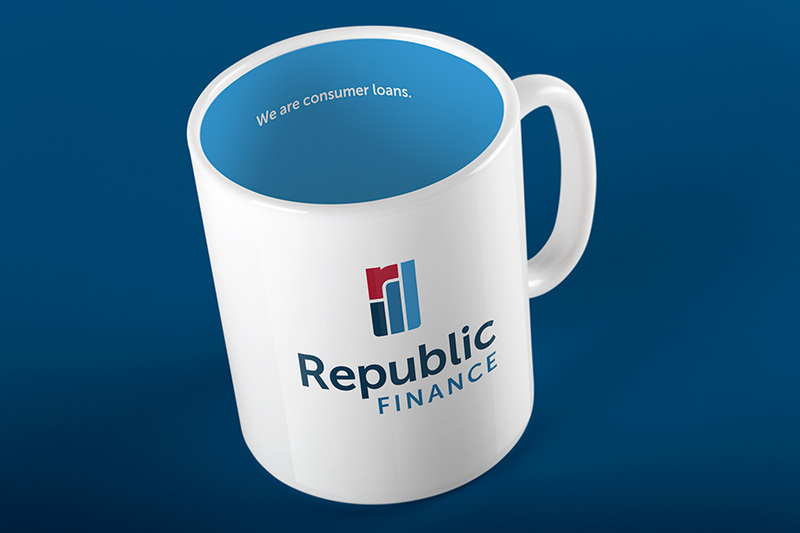 Looking at the growth that the company had made in recent years and their forthcoming expansion into new territories, Republic Finance’s original brand did not reflect how they had evolved, or their future direction. Years of inconsistent application of their original logo led to limited recognition among consumers. 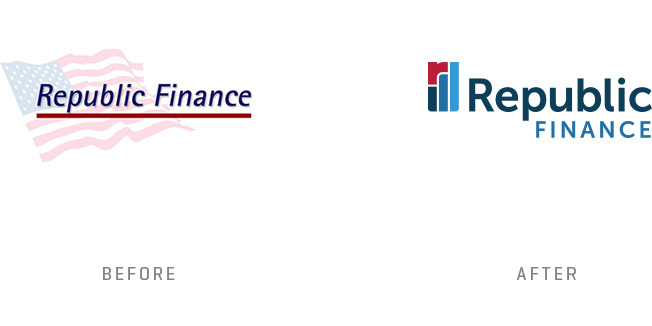 Not only that, Republic Finance’s original brand used the image of the American flag which could not be legally trademarked as uniquely theirs. They were in great need of a fresh start that would propel their continued success with their current customers and help them branch into new markets. 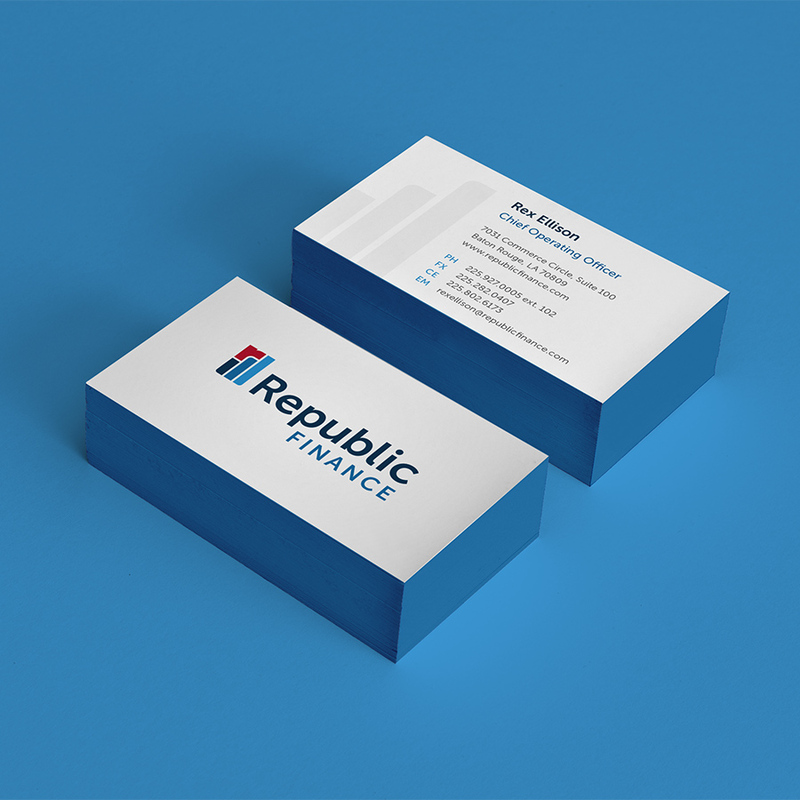 Beginning with an in-depth branding workshop, we brought all Republic Finance stakeholders together with our creative team to learn about branding and explore some initial concepts. After collaborative brainstorming and discussion, we came to an agreement on the visual direction of the new brand, what it would represent, and what the true essence of the company was. Once a design was chosen from several that were later presented, its symbol, color palette, and typography were continually refined until it best represented the company. While Envoc’s creatives remained the authority on best design practices, everyone was able to have a say in the final outcome. This led to a logo that all parties were pleased with, but more importantly, met the goals of the project. Altogether, these elements form a mark that is modern, approachable, and professional while conveying a sense of approachability and care. 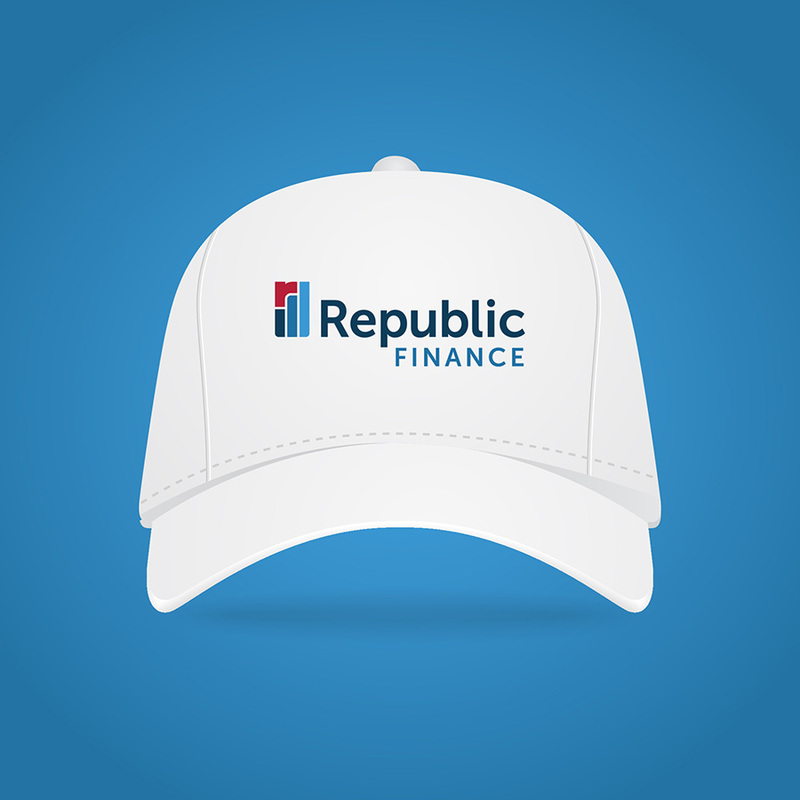 Because it is a unique symbol, Republic Finance will be able to trademark their logo as it becomes recognizable and the company grows into new territories. Envoc also provided an extensive branding guidelines book for their internal use that would ensure consistency across all applications. 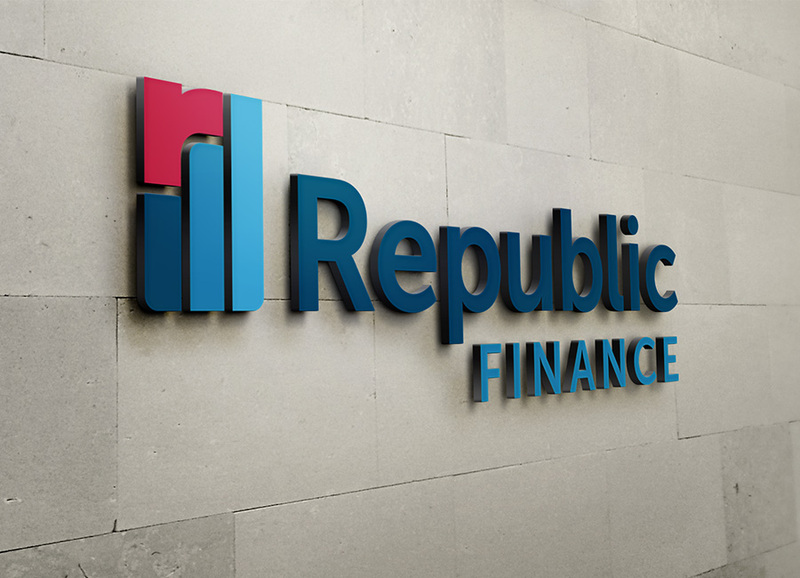 Review Republic Finance on Twitter. Our experience working with Envoc was very positive. Envoc was able to listen to the requests, desires, and concerns of a fairly large logo redesign team and deliver a final product that the entire team could agree on. They were also able to take many varying opinions and confront them with a high level of competence and sensitivity. Finally, Envoc did a good job of providing unbiased feedback upon request. They were primarily concerned with identifying and executing the ideas that we wanted to convey through our logo. This fostered a trusting and productive atmosphere amongst the project team members.